In Windows 10, you can now use your Microsoft Account to create and manage multiple email accounts using aliases. Here’s a complete guide on how to setup and manage aliases using Microsoft account and get more done in fewer clicks without having to sign-in and logout of multiple email accounts every time. Microsoft has made it easier for Windows 10 users to get the work related to different email accounts from a single place. There is no longer any need to setup multiple email accounts for carrying out work, personal or subscription in Windows 10 because you can create multiple aliases on your Microsoft account. An alias is an extra name that you can reserve for your Microsoft account to give a new identity. Once setup, you can choose to either attack existing Gmail, Android, iOS, Yahoo, and any other account linked to different online services, or create a completely new email address. Moreover, you can create alias using mobile number, Skype ID, Xbox, Office, or OneDrive account. Once Aliases are set up, there will be one primary Microsoft account along with aliases. You can then access inbox, contact list, account or email settings from any of the newly created aliases, as we are going to show you below. Creating multiple aliases allows you to login to your Microsoft account using any alias username and password, login settings can be changed later. See step-by-step guides below to learn how to setup and use aliases with your Microsoft account and how to use them easily. 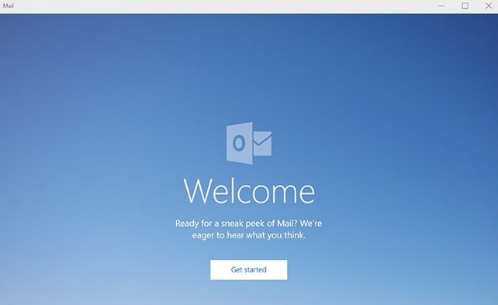 1 – Open web browser on your Windows device on sign in to your Microsoft account. 2 – Login to your account, if haven’t already done so. Phone Number – Adding your mobile number lets you use your number as an alias. Email – Here, you can create a new alias name, or use the username already linked to your other accounts or services. Enter your phone number and hit the Next button. After that enter the code that you get on your mobile device and hit the Next button to complete the process. Choose whether to create a new alias, which will sort of an Outlook.com account name. Or, you can select the other option to use the existing ID of another email service to use it as a Microsoft Alias account. Now, hit the Add alias button. For instances in which you select an existing email address, click the verify button and follow the on-screen instructions as prompted. Complete the confirmation process that you are using your own accounts and wish to use it as an alias. 6 – Now that you have creates a new alias, you can use it sign in to Microsoft Account using the same password. 1 – Open any web browser on your Windows 10 device. 2 – Login with your account details. 3 – Select the Make primary link right next to the alias you wish to use as your primary Microsoft account on Windows 10. You can choose to remove aliases created from your Microsoft account. Also note that once you delete an alias, that deleted alias ID will be made available for anyone who wishes to use it. 1 – Open web browser. 2 – Login with your Microsoft Account details. 3 – In the Manage how you sign in to Microsoft option, click the Remove button next to the alias you don’t want to use anymore. Although, Microsoft allows you to use any alias to sign in on Microsoft account, but you can also choose one particular alias to access your Microsoft account. 2 – Sign in to your account. 3 – Click the Change sign-in preferences option. 4 – Here, uncheck the box next to each alias that you don’t want to use to sign in on Microsoft account. Aliases come in useful in many situation. Let’s say you want to use a new email ID but don’t want to lose existing account’s data and settings, you can do so with Aliases on Microsoft account. Aliases allow Windows 10 users to have a single account but with different email addresses for security reasons, to associate a single account with different email address to different online services, or for any other purpose. The best use of Aliases come when you want to use an email address that doesn’t have required sign in permission. You can use it personally or give it to friends and colleagues to subscribe to various online services with the peace of mind that no one can access your personal information without your permission. There is one more thing you need to note that its not possible to use an email address already linked to another Microsoft account to create an alias. Moreover, Outlook.com aliases cannot be created as there is no option to manage it with alias, you can only access Outlook.com account from the main Microsoft account. Did you find this guide useful? Do share your aliases experience with Microsoft account in the comments section below.